When trying to find the right CBD oil option for you, it can be hard to navigate the sea of available products. With so many brands, and so many formats, trying to determine which product is the best CBD oil for pain can feel overwhelming. The format you choose, is up to you and your lifestyle and preferences, but we’d like to help you cut through some of the noise. We have taken a look at 10 formats for addressing pain — drops, capsules, vape cartridge, vape e-liquid, topicals, edibles, isolates, gummies, dabs, and pets — and given you our top pick for each. Use this buyer’s guide to make the most informed decision possible and find relief today! For more information on CBD oil and how it provides pain relief, head to our information guide, found here. Keep in mind, the information presented on this page is intended to serve only as an informational buyers guide – a starting point of reference – and should never be considered medical advice. 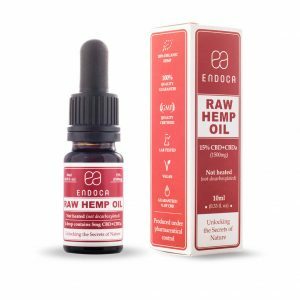 The best CBD drops for pain are Endoca RAW Hemp Oil Drops (1500mg). These drops are highly concentrated full spectrum product that you can really feel working. Not only does Endoca produce a high quality, and potent, product, they grow and harvest their crops in an environmentally sustainable way. They fuel their machinery with bio-fuels and they are working on hemp-based packaging to reduce waste created from plastic and paper products. They are a brand you can truly feel good about using. Endoca oversees every aspect of their operation, ensuring quality control in each and every batch. These drops are ultra-pure, taste like hemp, and are easy to use. Simply place the desired amount under the tongue, hold for 60-90 seconds, swallow and you are are set. Save 10% on Endoca's 1500mg Raw Drops! Endoca is a 5-star rated CBD oil brand having earned badges for Quality, Safety, Charity, Mission and Innovation. Check out the complete Endoca brand review here. 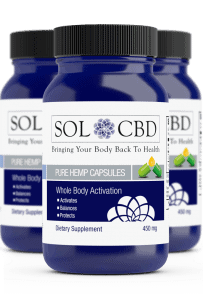 In the capsule format, our top pick are the Sol CBD Pure Hemp Capsules (450mg). These capsules are convenient potent and should last you 30 days. Produced in Colorado, Sol CBD provides a cost effective solution for people who do not like the taste of tinctures or who do not want to be fussing with dosages. Simply take the capsule, and go. Sol CBD capsules are grown from specially bred, organic, hemp without the use of any dangerous chemicals. CO2 extraction is used to ensure purity and quality. These vegetarian-friendly capsules contain a full spectrum of cannabinoids and include a full spectrum of terpenes, phytocannabinoids, and other important compounds that occur naturally in the cannabis plant. 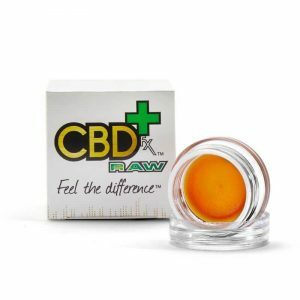 These capsules are a convenient delivery method to get your CBD in the body without any taste at all. SOL CBD is a 5-star rated CBD oil brand having earned badges for Quality, Safety, Charity, Mission and Innovation. Check out the complete SOL CBD brand review here. 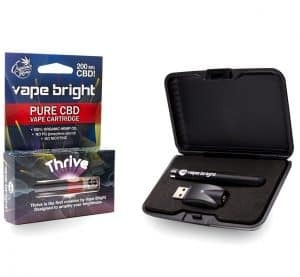 For the best CBD oil for pain in the vape format, we recommend the Vape Bright Thrive Starter Pack (200mg). This starter pack has everything you need to find relief when you need it: a 200mg cartridge of CBD oil, 1 Vape Bright battery pack, charger and case. Vape Bright delivers great tasting CBD oil without the use of PG or other carrier liquids. And with a 1mg of CBD per inhale standard (10x that of a standard vape! ), it is makes it easy to know exactly how much you are consuming with each use. For years Vape Bright has been committed to delivering a potent product with a terpene profile that puts competitors to shame. Vape Bright has limited their focus to two different vape cartridges, the Thrive and the stronger Thrive Beyond, meaning that they are able to focus their efforts on research and development so that they will only ever provide the best product to consumers. Save 10% on the Vape Bright Thrive Starter Pack today! Vape Bright is a 5-star rated CBD oil brand having earned badges for Quality, Safety, Charity, Mission and Innovation. Check out the complete Vape Bright brand review here. Our pick for the best CBD oil for pain in an e-liquid is CBDfx Vape Juice (250-1000mg). What sets CBDfx apart in our books is not only the fact that it comes in 6 different flavors but that they provide a full spectrum product with the certificate of analysis to back it up! The available flavors include: Blue Raspberry, Fruity Cereal, Rainbow, Strawberry Kiwi, Strawberry Milk, and Wild Watermelon. Available in a 250mg, 500mg and 1000mg size, you can be sure to get the dosage you both want and need. Keep in mind this is e-liquid and you will need an empty vape cartridge or vape mode to utilize this product. 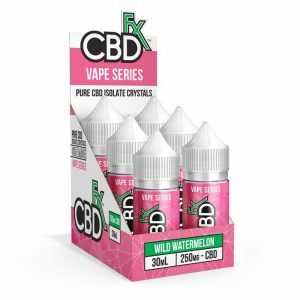 Save 15% off of CBDfx vape e-liquid collection today! CBDfx is a 5-star rated CBD oil brand having earned badges for Quality, Safety, Charity, Mission and Innovation. Check out the complete CBDfx brand review here. For people suffering with joint and muscle pain, topicals are a great option and our top pick in this format is Endoca’s Whipped Body Butter (1500mg). 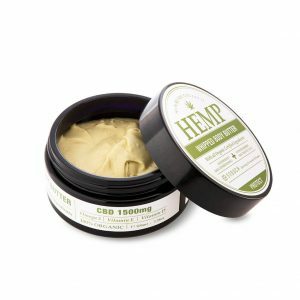 Not only does it contain the right amount CBD oil for pain relief, the other ingredients, including shea butter, cocoa butter and coconut oil, will leave your skin feeling silky and smooth. As mentioned before, Endoca is dedicated to natural and sustainable processes so you can be sure that this product is of the highest quality. When it comes to application, a little goes a long way. The exact amount required for relief is different for each person but it is pretty hard to go overboard so do not be afraid to experiment until you find the ideal amount for you. Save 10% on the Endoca Whipped Body Butter topical today! When it comes to edibles, it is hard to get any better than Mana Artisan Botanics Hawaiian Hemp Honey (300-600mg). With a CEO that has over 20 years experience working with medical cannabis, you can be sure you are getting a top shelf product. Mana Artisan Botanics has dedicated themselves to conscientious sourcing and producing a phytocannabinoid rich product that supports the endocannabinoid system. The Hawaiian Hemp Honey is made with a blend of Lehua and Wilelaiki honey, infused with small batch organic hemp extract. One ounce of honey delivers 150mg of hemp extract. If you like sweet things, this honey is for you. Add a little to your coffee or tea, spread it on your toast at breakfast, or dip the spoon in the jar and put a dollop directly on your tongue. This is a truly delicious way to use CBD oil for pain relief. Save 10% on Mana Botanics Honey Edible today! Mana Botanics is a 5-star rated CBD oil brand having earned badges for Quality, Safety, Charity, Mission and Innovation. Check out the complete Mana Botanics brand review here. Our top pick in the isolate format is Pure Spectrum 99% Isolate (1000mg). 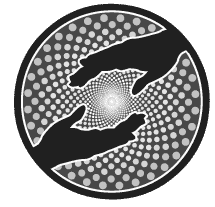 Based in Colorado, the family run Pure Spectrum is dedicated to providing the best CBD products to help you heal and live a long and happy life. Pure Spectrum’s 99% CBD Isolate is separated by molecular weight under laboratory conditions meaning that you are getting the purest product possible. Containing only anhydrous cannabidiol, you are getting all CBD oil for pain relief and nothing more. 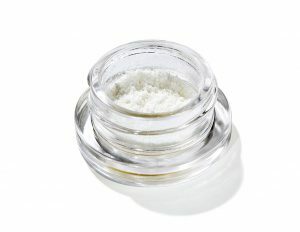 Save 10% on Pure Spectrum Isolate today! Pure Spectrum is a 5-star rated CBD oil brand having earned badges for Quality, Safety, Charity, Mission and Innovation. Check out the complete Pure Spectrum brand review here. When it comes to gummies, CBDfx CBD Gummy Bears are the best (300mg). CBDfx was the first company to create a full spectrum 100% vegan gummy. Not only is this good news for people following a plant-based diet, it is good news for people who want to avoid added ingredients like corn syrup and artificial sweeteners. Each gummy contains 5mg of pure CBD oil for pain management. A few gummies is all you will need but be warned, they taste so great you may be tempted to polish off the entire bottle. In this case, discipline will be key! 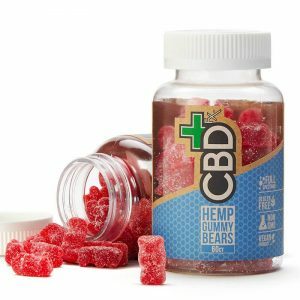 Save 15% off CBDfx Gummies today! For this format, we like CBDfx Wax Concentrated Dab (300mg). When seeking a CBD oil for pain and immediate relief, dabbing can be one of the most effective delivery methods. Not only does this dab wax meet CBDfx’s high quality standards, it contains full spectrum CBD oil derived from organic hemp plants. This dab wax contains all the cannabinoids, terpenes and amino acids necessary to experience the full benefits of the Entourage Effect. Each dab wax contains 300mg of pure CBD oil so you can get 20 servings from each one. Save 15% off CBDfx Dabs today! If your pet requires CBD oil for pain relief, Purity Petibles complete line of pet products are the way to go. Humans aren’t the only ones who experience pain, sometimes our furry friends need a helping hand. The president of Purity Petibles designed the product after watching his own pet see remarkable improvement after being given CBD oil. These phytocannabinoid rich products are both non-GMO and organic. It is rare to find a pet product that is free from chemicals and pesticides so you can choose Purity Petibles with confidence. Nothing is too good for our pets. Depending on your animal and their needs, you can choose from capsules, tinctures, topicals, treats, and concentrates. 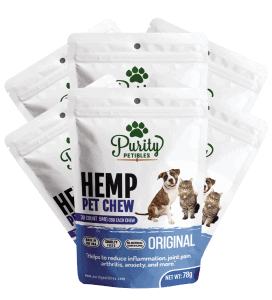 Save 15% off Purity Petibles entire collection of Pet CBD products! Purity Petibles is a 5-star rated CBD oil brand having earned badges for Quality, Safety, Charity, Mission and Innovation. Check out the complete Purity Petibles brand review here. For more information about how exactly CBD oil works for pain relief, head to our information guide, found here. To determine if CBD oil is the best solution for you, continue to do your research and talk to your physician. Together you can examine all the ways in which cannabis may benefit you. I have fibromyalgia and wanted to know what cream is the best to use. My husband started taking CBD drops for his knee pain.1 dropper full per day. It is Straight Hemp Full Spectrum Hemp Oil. 15 ml, 500mg. Is this a reliable brand? Can the dosage be increased?